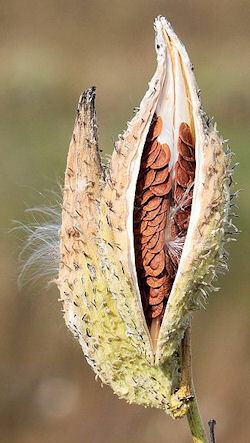 Common Milkweed Seeds and Plants for Large Butterfly Gardens! Common milkweed, otherwise known as Asclepias syriaca, is a host plant for Monarch butterflies. 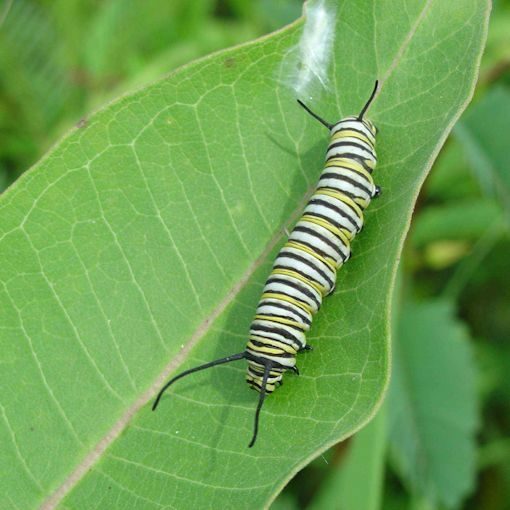 They lay their eggs on milkweed so that the caterpillars that hatch can eat the leaves to grow and ultimately become butterflies. 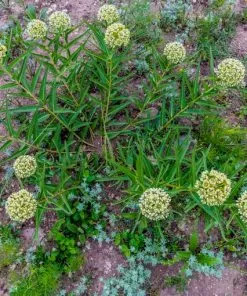 Asclepias syriaca is native to most of the US states that are east of the Rocky Mountains (the western exception is Oregon where it has naturalized) and into Canada. 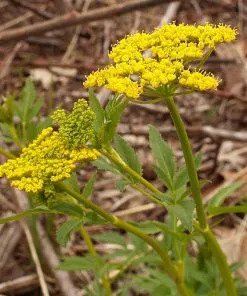 It is frequently found in meadows, roadsides, railways, around fence posts, etc, and is hardy in USDA zones 4-9. It is less frequent in the Deep South and is not native to Florida. 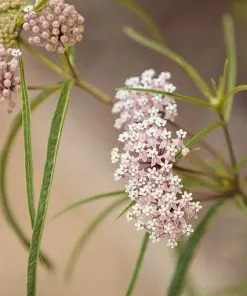 Asclepias syriaca usually has just a single stalk and can grow from 2-6 feet tall. The leaves are large and the flowers are pretty pink shades with a very pleasant fragrance. It starts flowering in midsummer and flowers into the fall. The seed pods are popular for use in dried arrangements and crafts. 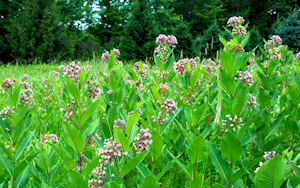 This milkweed will colonize disturbed areas and is considered a weed. 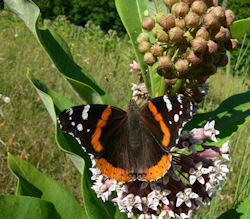 It is an important weed, though, that is loved by many butterflies. Common milkweed spreads by seed but also by underground rhizomes. When you plant this you may find it popping up all around. 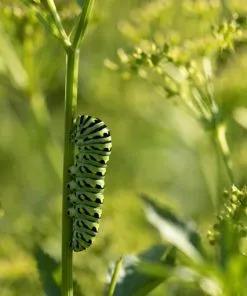 In a fertile garden setting it can become a real nuisance unless you are prepared to keep it somewhat in check and/or don’t mind its underground spreading habit. 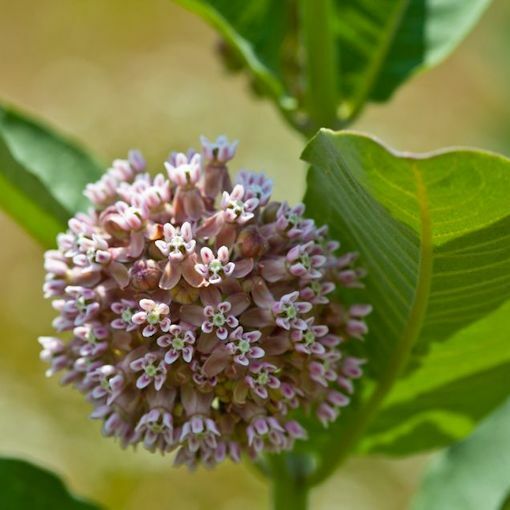 Common milkweed is a good choice if you have enough room for it in a section of your yard/land. It is easy to grow and requires very little or no care once it is established. 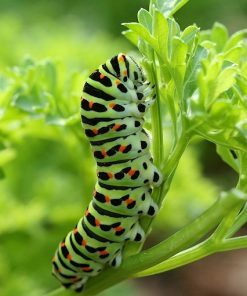 Some people grow it successfully in large pots (5 gallons or more) and others report that they plant it in their gardens anyway because they just like it and the butterflies do as well. 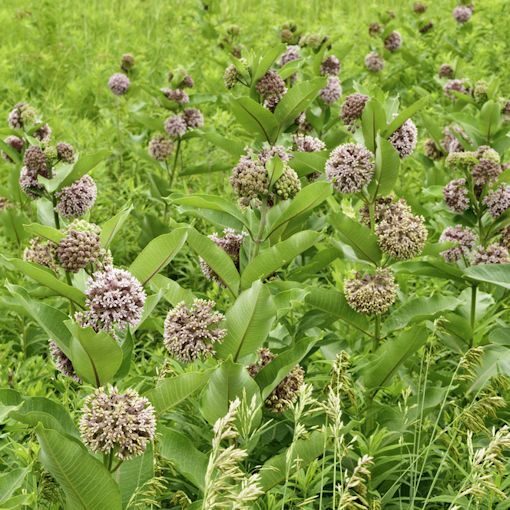 There are several different types of milkweed plants to choose from for those that do not have the space or desire to deal with the invasiveness of Common milkweed. 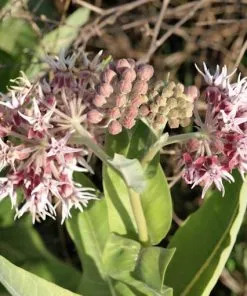 Although it is usually not their top choice on which to lay eggs if certain other milkweeds are available, Common milkweed is highly utilized by Monarch butterflies as a host plant all over its native region (and in gardens outside of its native area). 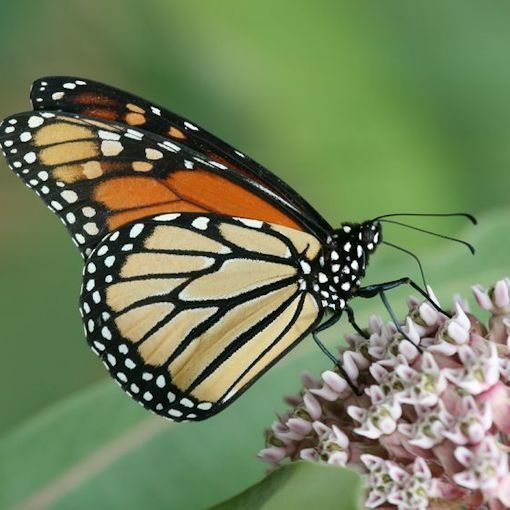 Most people report that when given the choice, Monarchs will choose Tropical or Swamp Milkweed over Common milkweed. 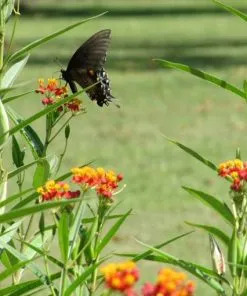 Many butterfly gardeners plant several types of milkweed and let the butterflies choose (because butterfly preferences can vary from garden to garden). 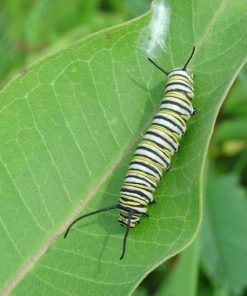 This also allows them to have “back-up” milkweed to feed the caterpillars if they run out of their primary milkweed choice. 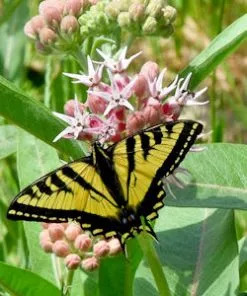 Another important point about butterflies and Common milkweed is that like many of the milkweeds, it is attractive to a large range of adult butterfly species as a nectar plant. 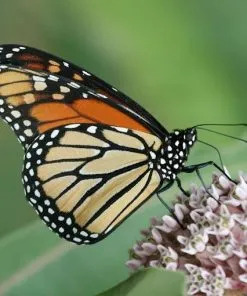 The butterflies love to feed from the fragrant flowers, so not only will it attract egg-laying Monarchs but also many other types of butterflies. 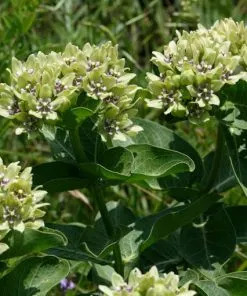 Common milkweed likes full sun but may tolerate some shade. 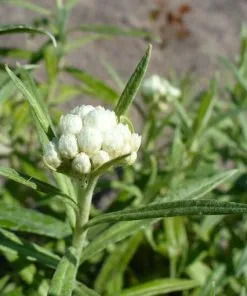 It will grow in a wide range of soils including clayey, rocky or sandy and prefers good drainage. The water requirements range from dry to medium moisture. 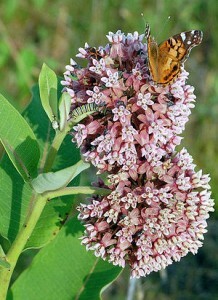 Asclepias syriaca is best suited for meadows, naturalized areas, prairies or butterfly gardens. 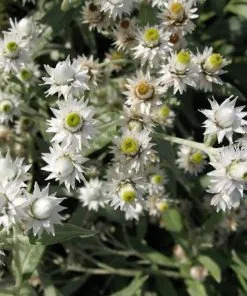 Most gardeners would not want to put this plant in a border or an ornamental garden due to its underground spreading. 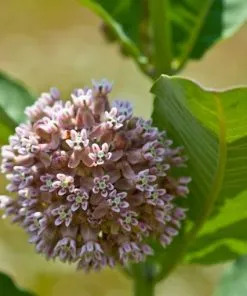 It can hybridize with Showy milkweed (Asclepias speciosa) if they are grown in the same area. 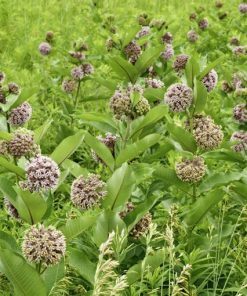 This milkweed is easy to propagate either through seed or rhizome cuttings. To propagate by rhizome cuttings just be sure you have one or more buds on the cutting. The USDA Plant Guide suggests that these cuttings are taken in the fall when the plant is dormant and planted right away so the cutting has time to develop some roots before winter. To germinate Common Milkweed seeds, the seeds will first need to be cold stratified. This makes it a great candidate for fall/winter sowing. The seeds need to be cold stratified for at least 30 days but 60 days of stratification may improve germination rates even further. Plant these seeds about 1/8 of an inch deep. Seedlings should start appearing in a week or two but germination can be slow and may continue over several additional weeks. You may need to water the young plants some the first year but once established they will require very little attention. The seedlings probably won’t bloom the first year, however, cuttings occasionally will. 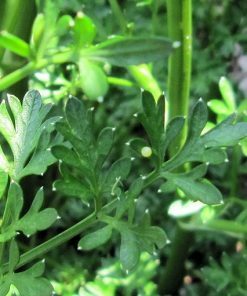 After the flower blooms, the long tear drop shaped seed pods will appear. You can cut these off to prevent self-seeding or you can let them ripen to collect more seeds. Once they are dry and just starting to split open you can open them and strip the seeds off of the silks. 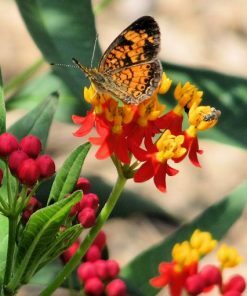 Asclepias syriaca is a great addition to a butterfly garden if you have the space or tolerance for its spreading habit. 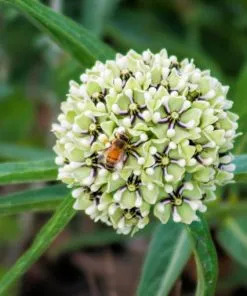 There are several other milkweed plants to consider that are more “behaved” in a garden setting if you are interested. Monarch butterflies are a lot of fun to raise both outdoors and indoors. 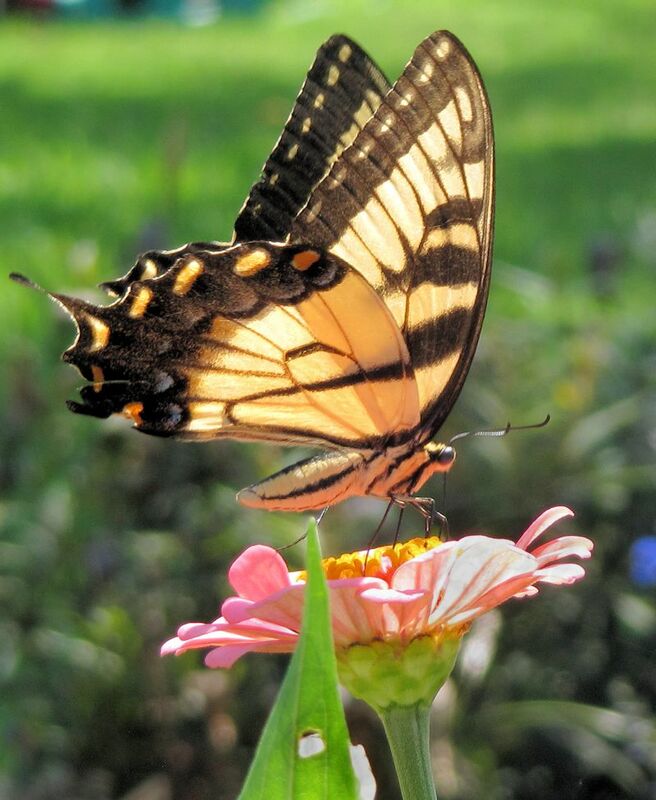 I hope you enjoy all the fun that comes with butterfly gardening!